With 9 days left, the Member Engagement Benchmarking Study, covering recruitment, retention renewal and other engagement practices is receiving some positive feedback, and many are looking forward to reviewing the results! We are looking forward to benchmarking the industry too! “I'd be curious how associations measure the "visibility" goal, as it seems one of the more challenging to get data on. I'm also curious as to whether "member satisfaction" or something similar was on your list and where it's currently running.” – Terry C.
"Thanks for the preliminary results, Meagan! I took the survey on behalf of my employer and I know my division is keen to see how we stack up against others in the area of member engagement. It's very timely as we devote more of our attention and resources to this area!" – Miriam T.
Association Executives have told us they want to compare their organization's levels of engagement with other Canadian associations. And while we could direct them to benchmark reports relating to one particular area (on social media, or email marketing), we could not find any Canadian study that truly covers all levels of communication. As a result, we have launched our Benchmarking Study, which will cover off organizational structure, and membership engagement (recruitment, retention, renewal and engagement questions). Anyone who works for an Association in Canada is invited to participate. The study will take approximately 35 minutes to complete – and individual results will be kept strictly confidential. Results will be reported in aggregate and will not identify any specific response or respondent. 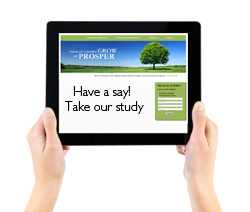 The survey is open until Friday, June 29, 2012. Those who respond will have the opportunity to request at the end to receive a copy of the report as our thank you (a $149 value). I would be happy to further discuss the purpose of the study, and how we will be sharing the results. Thank you in advance for your interest, and your assistance in benchmarking the industry!